Park City is known for its world-renowned skiing during the winter and its hiking and biking trails during the summer. Springtime in Park City can be a challenging season to find something to do if you are itching to get out on the hiking trails while the ski resorts are still open. I wish I could say that I’m a downhill skier (being a Utah girl and all!) but no, I don’t ski. Mostly because downhill skiing is an expensive hobby and I prefer activities that are free. That being said, I love the vibe in Park City…and the chance that I might see someone famous there one day. Still no luck! But for this particular day trip to Park City last weekend, John and I decided not to go near a ski resort or Main Street. We really wanted to find something different to do that wasn’t as popular with the tourists. I think that we succeeded. So without further ado, here are 3 springtime hikes you can do in Park City that you probably didn’t know about. The Glenwild area is popular in the spring because this mountain area is one of the first to dry out. While there are many trails to choose from, we opted to hike the Stealth Trail. This trail borders and/or is part of the Swaner Nature Preserve and so along the way there were some informational plaques and a beautiful creek. Jackson enjoyed watching all the birds that were nesting along the route. John and I loved having the views of Park City and the Olympic Park as we hiked. As with most trails in Park City, the Stealth Trail is multi-use, meaning that mountain bikers and horses also use the trail. This isn’t my ideal way to hike but it is extremely hard to find a hiker’s only trail, so we decided to give a try. Bikers are supposed to yield to hikers, but let’s face it, they don’t. We found ourselves on the side of the trail quite often waiting for the bikers to pass. The views are spectacular though so it was just an excuse to stop and take a picture. Be aware that the trail borders a busy interstate so you won’t get much peace and solitude. 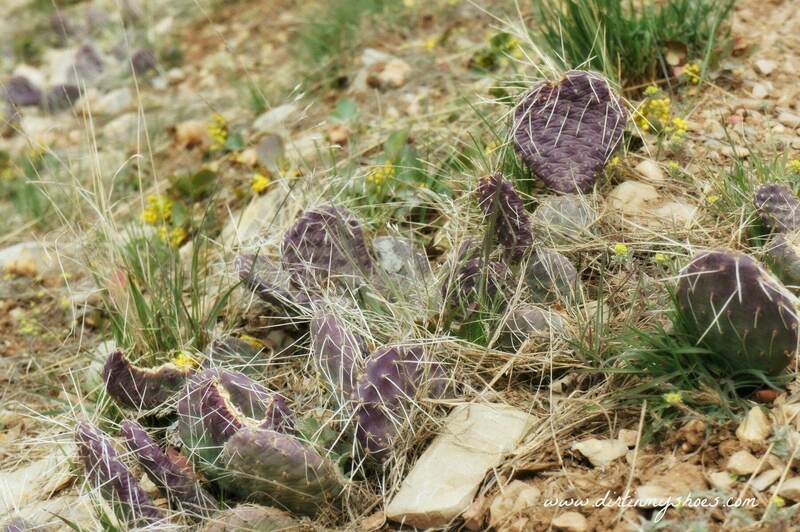 The vegetation along the Stealth Trail is typical of a Utah desert climate, with lots of sagebrush and scrub oak. Because of this, expect very little shade along your route. We also saw some cactus and a few snakes (not rattlers, although there is the possibility). Water and restrooms are located at the trailhead, along with a pavilion with a few picnic tables. We hiked the trail clockwise and would do it that way again. The climb is more gradual and it is easier to see the bikers coming toward you from that direction. When you reach the top of the summit, there will be a sign that says the area is private property and to stay on the trails, but there is a wide trail that goes straight past that sign. Don’t take that trail, instead look for the trail to your right that starts heading back down the mountain. After about 0.5 miles you will have the option to take the Glenwild Loop or the Blackhawk Trail. You can take either, but the Glenwild Loop is significantly shorter. The Stealth Trail is 4.5 miles round trip if you take the Glenwild Loop option. From Salt Lake City, take I-80 East toward Park City. Get off at Kimball Junction, exit 145, and go left. Take a right onto the Frontage Road, and follow the signs toward the Spring Creek Trailhead, which will be your second left. This is where the Stealth Trail begins. 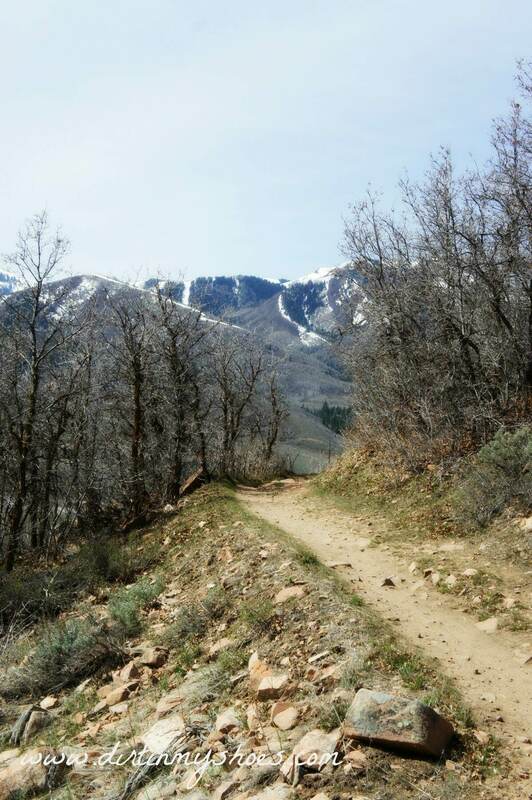 The McCleod Creek Trail runs from downtown Park City to Kimball Junction so you can go as far as your heart desires. The section we hiked followed the creek most of the way with beautiful landscapes of dogwood and beaver dams. The highway was far off so we were able to hear the birds chirping and the water flowing through the rocks. I’m always trying to get away from sounds of people when I hike so I enjoyed this little jaunt through the trees. In my opinion, Park City trails are confusing. After a slight detour…(like a mile or two on the wrong trail)…we finally figured out where we were supposed to go to get on the McCleod Creek Trail. So, we parked at Willow Creek Park. As we pulled into the park, there was a “trailhead” that said no parking so we pulled into the Willow Creek Park parking lot. A few trails leave from this park, so you will want to head back toward the “trailhead” building and then cross the street to the other side of the Old Ranch Road. You will see a dirt path. Turn right (heading west) on this path and follow it until you see the path turn to the left just before the Two Creeks Ranch. Take this path. We took our BOB stroller on this trail and it did great. If you take a stroller, you will probably want it to be good and sturdy. It took a little while to get to the actual creek (after passing a few multi-million dollar houses) and then we kept going on the trail until we got to the beaver pond and could hear and see the cars on the highway. We turned around there and just headed back the way we came. This trail is very kid-friendly. You may even see a beaver or two….we did! The route we took was approximately 1.5 miles round trip. From Salt Lake City, take I-80 east to Kimball Junction, exit 145. Turn right onto Highway 224 S and follow for about 2.5 miles. Take a left onto Old Ranch Road (if you get to the Canyons Ski Resort you have missed your turn). Drive for 1.5 miles until you reach Split Rail Lane and take a left. You will pass the “trailhead” and Willow Creek Park parking lot will be on your right. 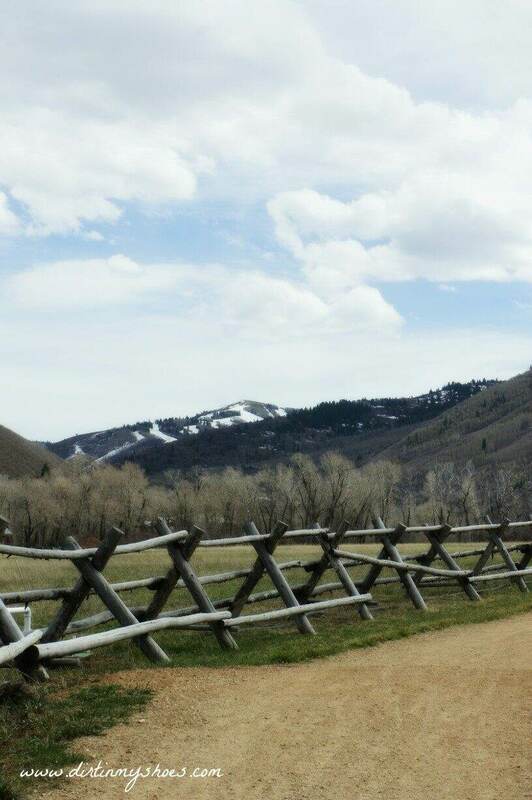 The McPolin Farm is one of the most iconic sites in Park City and for a good reason. The scene is absolutely breathtaking. You will be transported back in time as you stroll past old farm equipment, a wide open field used to grow hay, and the immaculate architecture of the white washed barn. A little-known but charming nature trail is tucked behind the barn among a stand of aspen trees. This is a perfect springtime trail that is great for all ages. The Farm Trail itself is short, sweet, and paved. The Nature Trail starts back behind the Farm and is not paved or well-traveled. Either one would be great for your family, but I enjoyed the Nature Trail because it was a little more secluded. As you follow the paved path leading past the farm on your left, you will get to a “T” intersection. Take a right and walk for a few minutes until you see a sign on your left for the Nature Trail. As you go along the trail, you will see signs that explain what is around you and encourage a sensory experience through the woods. This trail is 1 mile round trip. From Salt Lake City, take I-80 East to Kimball Junction, exit 145. Take a right onto Highway 224 and travel south for approximately 4 miles. The farm will be on your right, but the parking lot is on the left. Walk through the underpass from the parking lot to reach the farm on the other side of the road. 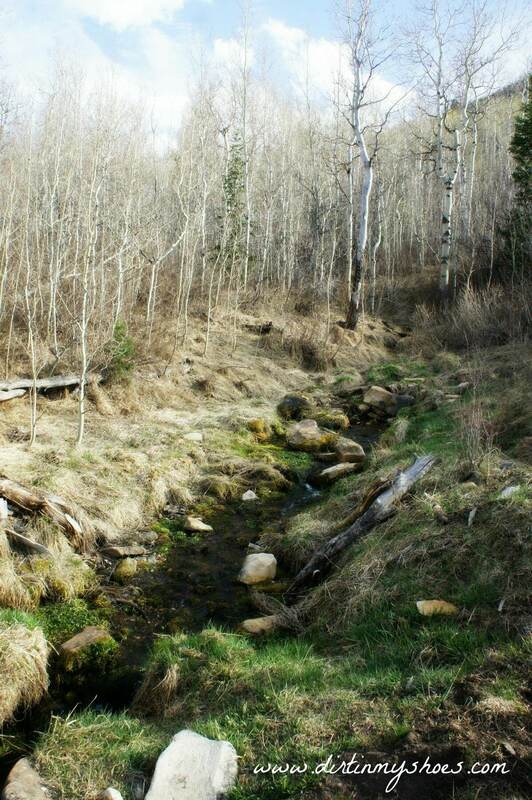 Have a great time out on these Park City trails! What’s your favorite trail in Park City? Do you know if the snow has melted enough to go on these trails this spring? It looks like there’s still a decent amount of snow up there. Glenwild might still have snow, but McPolin Barn and McLeod should be clear by now. It’s been a great year for snow!! Olya, you would love Park City. Thanks for stopping by! Wow these pictures are beautiful….I would love to hike there! Thanks for sharing! Best to you and happy blogging! Thanks Valerie! I hope you are able to make it to Park City sometime.